It’s not often that you get the chance to travel to a place you’ve dreamed about and bring the sport you love with you. But that’s exactly the experience senior Zac Clifton had last summer when he traveled to South Africa with Student-Athletes Abroad. Student-Athletes Abroad is an international educational program designed to remove barriers that prevent student-athletes from studying or interning abroad. The program emphasizes cultural immersion and exceptional academic experiences, including unique opportunities for engagement with local communities, daily workouts and training with local athletes, and plenty of time for exploring local attractions. Clifton, a business administration major, remembers receiving an email from one of his Neumann lacrosse coaches about the Student-Athlete Abroad opportunity. It offered programs in Costa Rica and South Africa. “I always wanted to go to South Africa since I was a little kid. My uncle lived there and always talked about it,” Clifton said. He quickly applied, had an interview and was accepted into the program. On July 10, 2018, Clifton was flying across the Atlantic Ocean on his way to Cape Town, South Africa. “We were paired up with an NGO (Non-Governmental Organization) called GCU (Great Commission United), coaching kids in the primary grades,” said Clifton. GCU works with four local schools, providing sports activities and coaching for young people. The organization also works on teaching life skills, establishing mentorships and providing extensive educational support that includes literacy and math via homework club and tutoring. According to Clifton, Woodland Primary, the school where he coached, is located in a township that was segregated by race. Most of these townships have problems with gangs and drugs. GCU works to keep students in school and away from gang life. “It was dangerous. You needed to have your wits about you. I never really felt nervous, but I had to be on edge,” he explained. The Woodland students had no idea what lacrosse was all about prior to Clifton working with them. “I brought lacrosse sticks with me and the kids were never exposed to lacrosse before that. They absolutely loved it. It wasn’t something that they were used to but they picked it up very quickly. I left some of my sticks there for the kids to use,” he said. Clifton did have time to travel around South Africa. He went cage-diving with sharks and had four, 16-foot Great White Sharks swimming around him while he was in the cage. “I would wake up and could look out my window and see the ocean. The beaches were gorgeous, white sand and clear blue water. The food was amazing too. I had the best barbeque I had ever had in my life there,” Clifton stated. 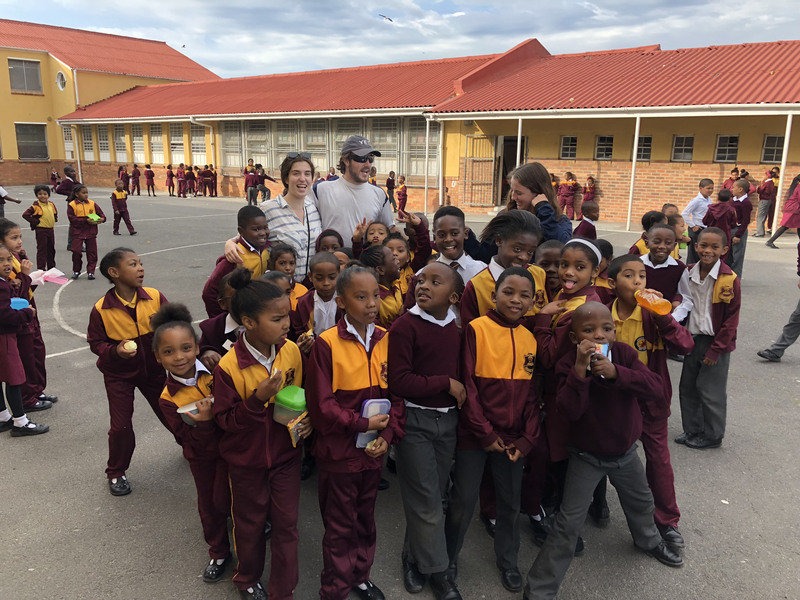 Throughout all the amazing experiences Clifton had in South Africa, it was the kids that left a biggest impression on him. “People told me, ‘It will change you.’ I fell in love with the place and that’s what makes me want to go back. Plus the kids there are incredible,” Clifton said.